After a lifeless display against Crystal Palace at the weekend, Manchester United have no option but to bounce back and right their wrongs in their midweek Champions League fixture. José Mourinho has endured a tumultuous season so far and the fans’ apprehensive state of mind as to the direction in which their club is travelling in only intensified due to the lackadaisical 90 minutes they witnessed against the Eagles. BSC Young Boys are bottom of Group H and are unlikely to progress out of the group, but a third-place Europa League spot is still to play for and they will feel confident that they can cause an ‘upset’ at Old Trafford on Tuesday evening. Although United’s last game ended in a goalless draw, Manchester United’s defence has been on shaky ground this season and Roy Hodgson’s players will feel disappointed not to have found the back of the net. The Red Devils leak chances galore no matter the opposition and Gerardo Seaone’s players know they should have punished them back in Switzerland when they routinely found their way in behind and in advantageous areas of the pitch. Man United’s goal difference in the Premier League reads -1, which adds to the damning indictment of this being United’s worst start to a season in 28 years. While some individual players - such as Victor Lindelöf and Luke Shaw - have impressed, they remain largely disorganised and flummoxed when tracking runners. On the contrary to such disappointment in Manchester, the Swiss-based club have only dropped two points in their 15 league games so far and have practically wrapped up the domestic title before Christmas. Their focus will solely be on recording any sort of result in Manchester, where they’re 2/7 with Coral. While United have struggled for goals at home this season, there should be enough quality on the pitch for them to get some cheers from the United support throughout the 90 minutes. Given the importance of this game in terms of potential qualification, the players should be able to show an urgency in transition that has been severely lacking in recent weeks. Young Boys have a seasoned centre-forward in Guillaume Hoarau, who has found the back of the net on 14 occasions this season in 22 appearances and is 15/4 (Betway) to do so again. The French-born centre forward knows where the goal is and caused disruption in the reverse fixture earlier in the year. Paddy Power have offered both teams to score at 21/20. While Mourinho’s record in the Premier League is seemingly worsening with every game he manages, his Champions League aspirations were given a much-needed boost after becoming the first team to dethrone Juventus at the Allianz Stadium in a decade. The group is perfectly poised with Man United quite clearly having the easier fifth-round tie, but this game is not a foregone conclusion, just as it wasn’t in Switzerland. If Mourinho’s players don’t get their act together soon, those boos that rung around Old Trafford at full-time of their last match are only going to intensify and reverberate at a louder note. While 12/1 (BetVictor) underdogs Young Boys are going to put up a brave effort and test United’s resolve, there is simply too much to lose in terms of group position and reputation for Mourinho’s side not to come away with the victory. The Red Devils have enjoyed playing against Swiss-based clubs in previous years and Tuesday night should be no different. No matter what predicament they are in both on and off the field, their stars should see them dispatch of Young Boys relatively unscathed. Mourinho’s men are priced at 13/5 with Betfair to win with Under 2.5 goals score, which would take them one step closer to qualification. It might seem odd to back this selection given Romelu Lukaku’s barren run in front of goal, but after returning from injury, Belgium’s all-time record goalscorer looked sharper than he previously has and was unlucky not to get on the scoresheet against Palace. 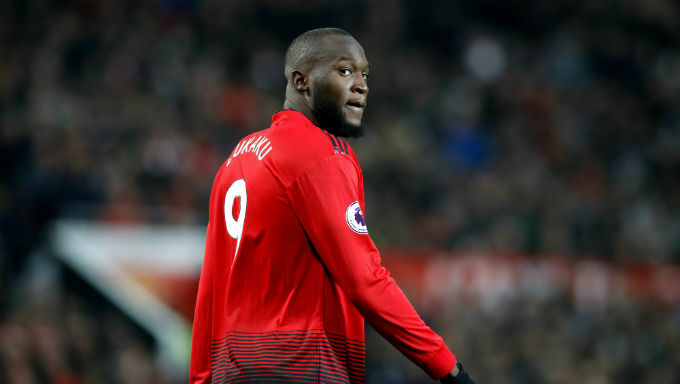 Lukaku knows he’s under pressure by his team-mates, manager and fans, and a game against a relatively poor side in Young Boys might just be what he needs to reinvigorate his scoring ways. It’s certainly been a difficult season so far, having scored four goals in all competitions for Manchester United in 16 appearances - a rather lacklustre return given the £75 million spent on him in the previous year. Another worrying stat is that Lukaku hasn’t scored at Old Trafford since the end of March, which might put some people off this selection, but all droughts do eventually end. Mourinho has shown he trusts the Belgian after continuing to play him when his form was drastically declining and will be hoping that faith is restored with Lukaku finding the back of the net against Seaone’s men. BetVictor offer Lukaku to score at any time at 1/1. One to also consider is for the Belgian to score the first goal, which is priced at 15/4 with the same betting company.